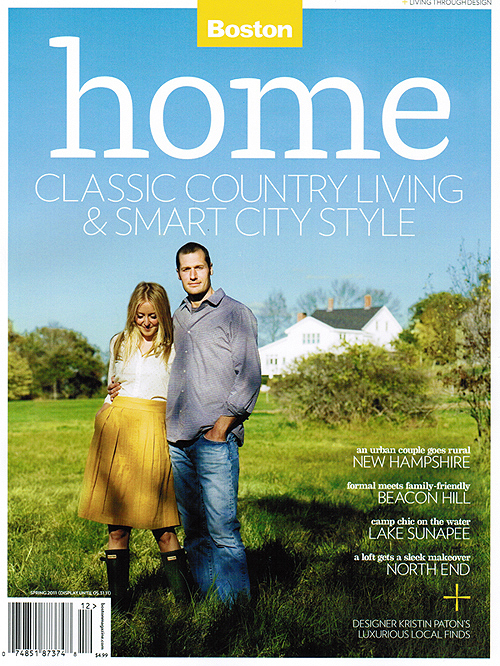 I was very excited to learn that one of my birdhouses made it into Boston Magazine’s spring HOME edition, in a department called “A Perfect Ten”. I knew there was a chance, but wasn’t sure it would really happen. To my surprise, someone at a show this past weekend told me they had seen it, so I rushed out the next morning and bought a couple of copies of the publication. 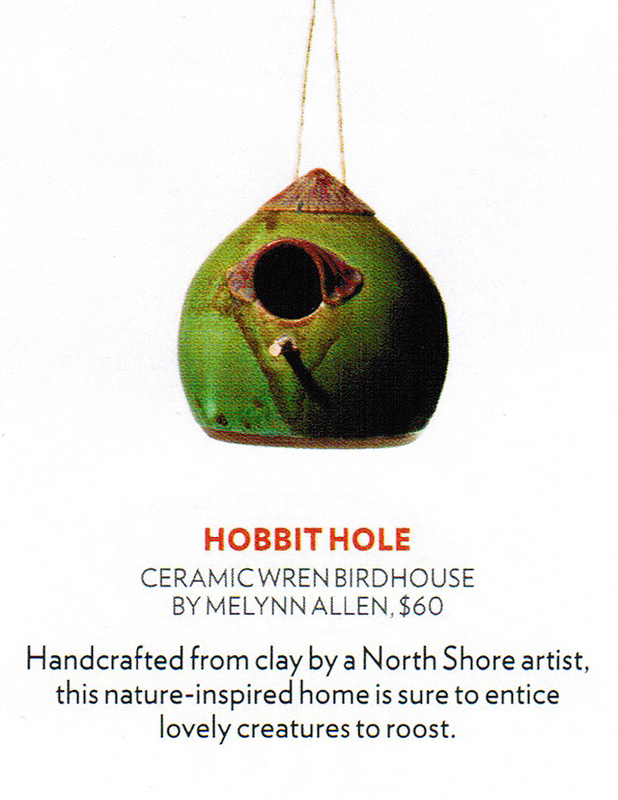 I love that the magazine called my birdhouse a “hobbit hole”. That’s exactly what it looks like to me, although I never would have come up with that name on my own. I’ve been busy today, photographing and getting a few of these up on my Etsy store, just in case someone wants one. What fun! Congrats Melynn, you deserve it! Thanks, Elizabeth. If you ever get around to writing a blog, I know it would be fabulous! Thanks, Darleen. I always imagine the birds that will live in these houses when I make them. Makes the whole process that much more rewarding! 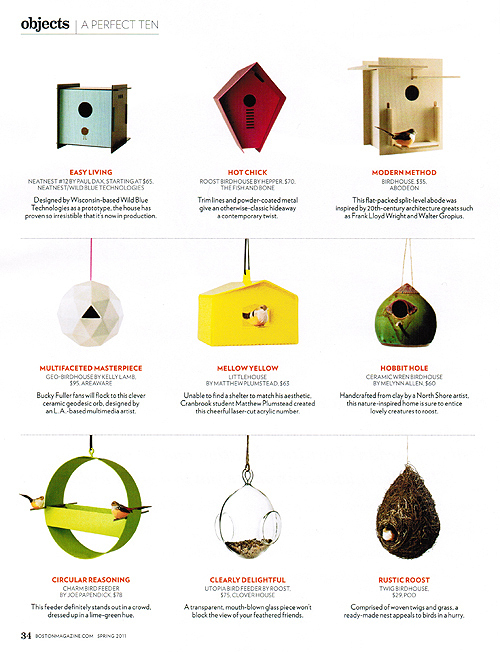 Melynn – I was so excited to see your birdhouse in the magazine (sorry I didn’t get a copy to you – my brain has turned to mush and I forgot to do so of course). It is a very charming birdhouse! Happy to see your creative efforts getting much-deserved recognition. No problem about getting the copy to me – I found it the next morning on my way to the show. Great to see you, and thanks for your support!